Friday, September 13, 2013: Gilded Lily Burlesque Presents Dixie Evans Week: Baltimore at The Windup Space, 12 W. North Ave, Baltimore, MD. Gilded Lily Burlesque presents “DIXIE EVANS WEEK” a global celebration of burlesque and the late legend Dixie Evans, the Marilyn Monroe of Burlesque. With Maria Bella, Sophia Sunday, GiGi Holliday, Kay Sera, Candy del Rio, Mourna Handful, Sunny Sighed, Bal’d Lightning, Aurora Wells, Cherie Sweetbottom, Ruby Rockafella, Missy Aggravation, Cherie Nuit, Reggie Bugmuncher, Diva Darling, Dainty Dandridge, Addie Pocere, Bella la Blanc, Lucrezia Blozia, and emcee Hot Todd Lincoln. All funds raised during the show will be used to cover the costs of outstanding medical bills and preparations for Dixie’s final accommodation. Show at 9 pm, tickets $15 at the door. 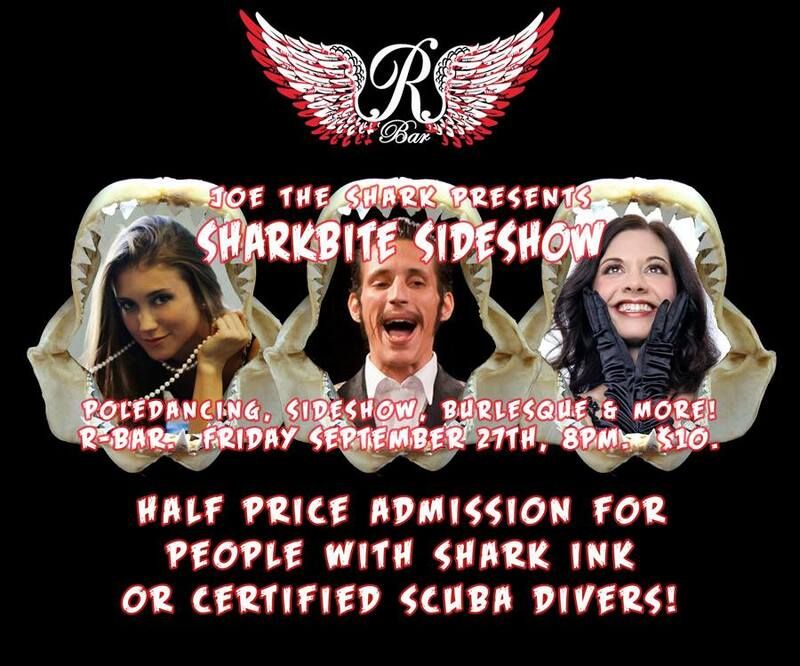 Friday, September 27, 2013: Joe the Shark Presents Sharkbite Sideshow at R Bar, 218 Bowery St, New York, NY. 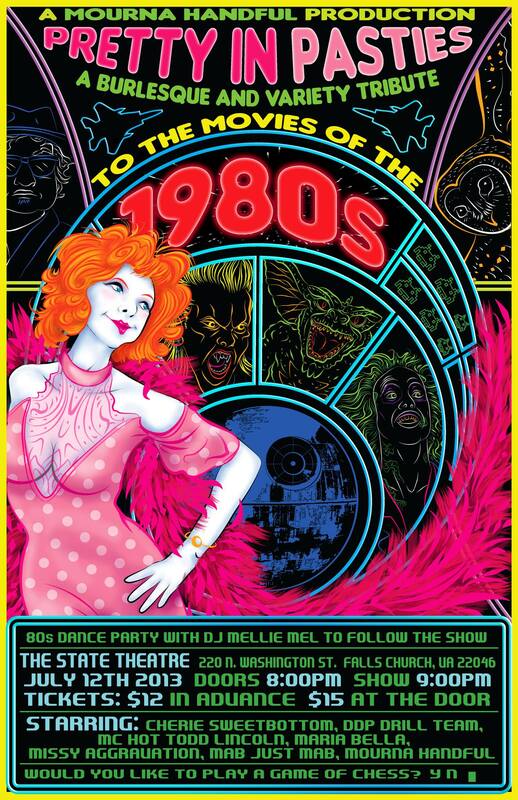 With Cardone, Cherie Sweetbottom, Delirium Tremens, Paco Fish, Pistola de Lux, Rosie Cheeks, Lickitty Split, Kayce GoGo. Show at 8 pm, tickets $10. 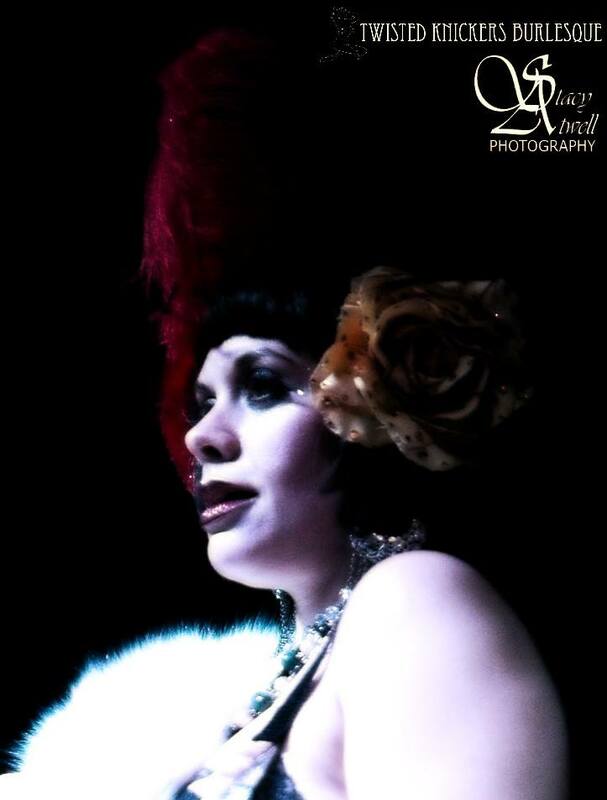 Monday, July 8, 2013: Dr. Sketchy’s Anti-Art School: Baltimore at The Windup Space, 12 W. North Ave, Baltimore, MD. Doors at 6, start at 7. 18+ to draw, 21+ to drink. Show up early to get a good seat. $10 at the door, $8 if you buy online more than 24 hours in advance: http://bit.ly/13mVlvM. Friday, July 26, 2013: Hot Todd Lincoln’s House of Weird at the Bier Baron Tavern, 1523 22nd St NW, Washington, DC. With Swami YoMahmi, Cherokee Rose, Cherie Sweetbottom, Kiki Allure, Alyssum Pohl, and host Hot Todd Lincoln. Doors at 8:30 pm, show at 10 pm, tickets $10. Friday, August 16, 2013: Naked Girls Reading DC presents So You Want To Be A Naked Girl? at DC Arts Center, Washington, DC. Saturday, August 31, 2013: The Evil League of Ecdysiasts presents Pastius Revelio! : A Burlesque Tribute to Harry Potter at the Bier Baron Tavern, 1523 22nd St NW, Washington, DC. 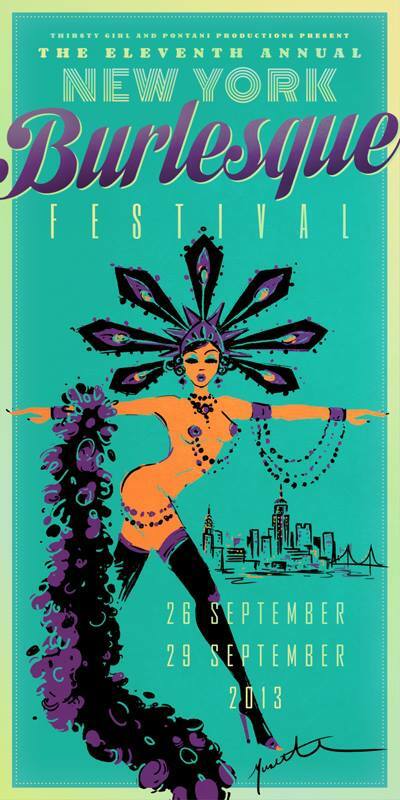 The 11th Annual New York Burlesque Festival, September 26th – 29th, 2013, at various venues in New York City, NY.